'The Politician' stars Ben Platt and Jessica Lange. 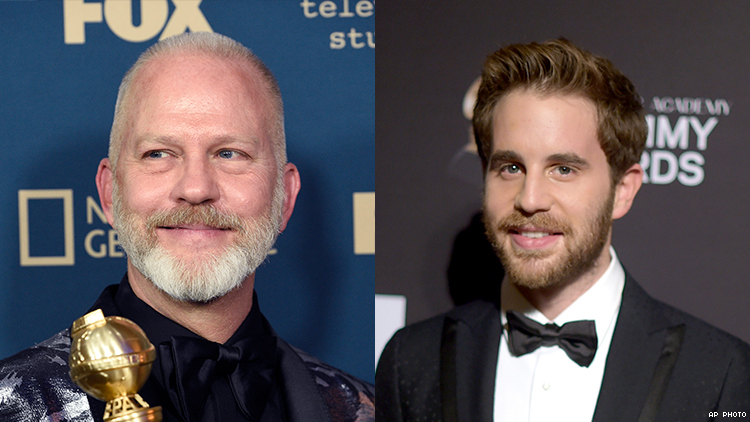 For those who are wondering what came of Ryan Murphy’s $300 million Netflix deal, you’ll finally have your questions answered on September 27, when the television series The Politician debuts. The Politician stars Tony winner Ben Platt as Payton Hobart, a wealthy California student who wants to be President of the United States. Before he gets there, he has to be elected Student Body President at Saint Sebastian High School and get admitted to Harvard. The show, which Netflix describes as “full of dark comedy and sly satire,” also stars Jessica Lange, Gwyneth Paltrow and Bohemian Rhapsody's Lucy Boynton. Barbra Streisand was originally reported to be attached to The Politician, but revealed in The New Yorker that she dropped out to focus on her music. Original reports also indicated that the show will incorporate musical numbers in some way, though probably not at Glee level. Murphy’s $300 million deal was announced in April 2018 and The Politician will be his first project to debut for the streaming site. Murphy will also soon debut Ratched, a series about the infamous Nurse Ratched character from One Flew Over the Cuckoo’s Nest. Murphy muse Sarah Paulson will star as the titular nurse. Platt is due for a big year. He came out as gay in a music video earlier this year and his debut album Sing to Me Instead is due out on March 29. Platt is best known for his Tony-winning role in the Broadway musical Dear Evan Hansen and his role in the Pitch Perfect films. You can follow The Politician on Instagram, where they released the first promotional image for the show on Friday morning. The Politician. Running September 27.